The Shaheen-II was test-fired on March 9, 2004. The Pakistani military issued a statement saying, "Pakistan today successfully carried out the maiden test fire of the Shaheen 2 surface-to-surface ballistic missile." In an interview with an English daily in Islamabad, the director General of the National Development Complex [and a member of Pakistan Atomic Energy Commission - PAEC] Dr. Samar Mubarik Mund said work is in progress on the long range Shaheen-II which can travel 2000 kilometres. He said the missile would be ready for testing by the end of 1998, though it was not launched until early 2004. 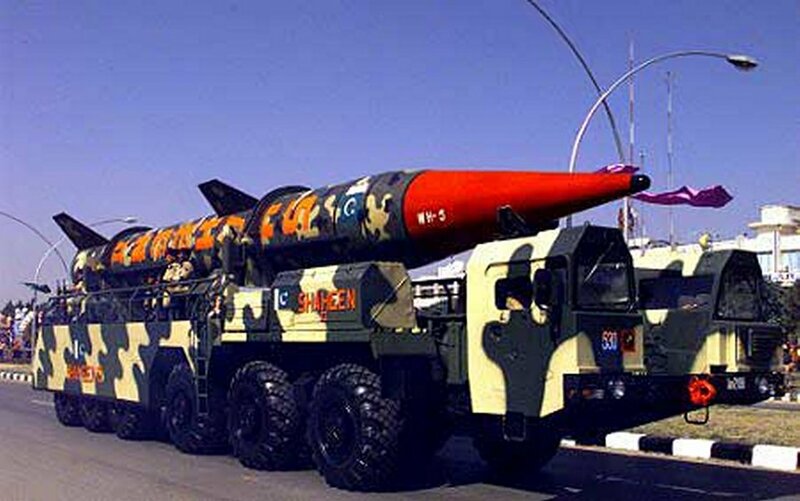 A pair of Shaheen-II ballistic missiles were displayed during the Pakistan Day parade in Islamabad on 23 March 2000. One of the missiles was carried on a 12-wheel Transporter Erector Launcher, while the other missile was carried on a Missile Transporter. These vehicles, based on a common chassis, are evidently significantly larger than the 8-wheel launcher used by the Shaheen, though they use a similar cab. During the parade, it was claimed that the Shaheen-II surface-to-surface missile had a range of 2,000 kilometers [over 1400 miles]. 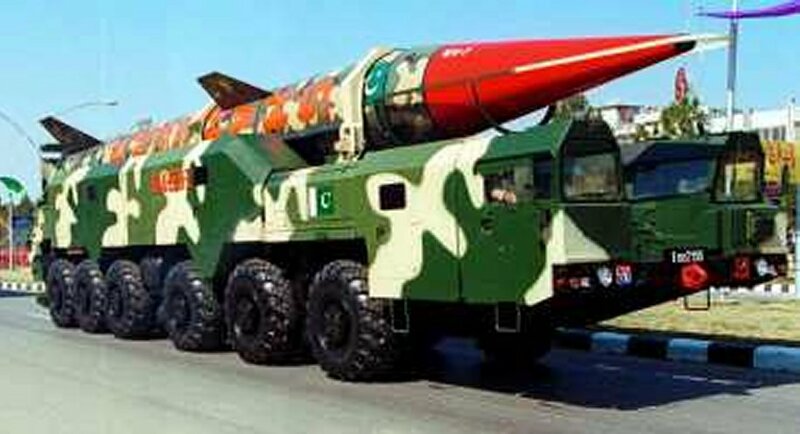 The Shaheen-II is evidently a Pakistani version of the Chinese M-18, which was originally shown at the 1987 Beijing air show as a two-stage missile with 1000 kms range carrying a 400-500 kilogram payload. This M-18 missile had the longest range of any of the current M-series missiles. The Shaheen series of missiles are evidently based imported from China by the PAEC's National Development Complex. The Shaheen, which was tested with considerable publicity on 15 April 1999, is evidently the Chinese M-11 which Pakistan purchased in the early 1990s. 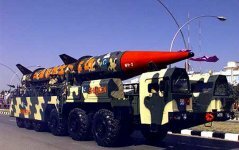 The Shaheen-II would appear to represent the Chinese M-18, although it is questionable whether Pakistan has actually obtained these missiles from China. There is no present indication that China has transferred such missiles to Pakistan. Pakistan has announced that development efforts are underway on a longer-range missile, designated the Ghaznavi, although no details of this system's proposed characteristics have been made public. PAK NUKES MISSILES Voice of America 01 June 1998 -- A SENIOR PAKISTANI SCIENTIST - SAMAR MOBARIK - SAYS PAKISTAN HAS DEVELOPED THE 700 KILOMETER-RANGE MISSILE SHAHEEN-ONE. HIS TEAM IS ALSO DEVELOPING SHAHEEN-TWO WITH A RANGE OF 2000 KILOMETERS, WHICH HE SAID WOULD BE READY FOR TESTING BY THE END OF THIS YEAR. How 'Shaheen' Was Developed by Hanif Khalid Jang [Rawalpindi] 19 April 1999 page 10 -- The Shaheen-II missile will consist of two rocket motors (two stages.). The whole of India will come under its range.